السلام عليكم ومرحباً بك في موضوع جديد للألعاب، لعبة اليوم من أفضل العاب استراتيجية وألعاب الحرب . 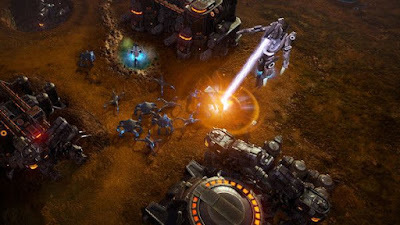 Grey Goo is a real-time strategy (RTS) game that combines classic strategy mechanics and a balanced combat system with an emphasis on large-scale decision-making. It puts you at the center of a tactical struggle for survival—and ultimately, control of Ecosystem 9. Take on the single-player campaign to command three factions: the Humans, masters of defensive architecture; the Beta, a proud, versatile alien race; and the Goo, an enigmatic, highly mobile life form. Or compete with any of the four multiplayer factions—including the disruptive, unpredictable Shroud . 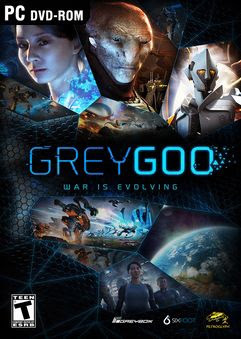 0 التعليقات لــ "تنزيل لعبة ستراتيجية Grey Goo Definitive Edition"